We have plenty of activities on our farm. We have our main events at 8am and 5pm when your family can feed all the animals. They will all eat out of your hand if you choose, giving your family a close encounter with farm animals, and a great experience. All our farm animals are well trained. They all have names and will come when you call. Watch the local wildlife, feed our baby kangaroos, play a game of pool or tennis, or just relax under a tree and read a book in the sun. We keep everyone entertained from the oldies to the young children. We are also partners with Discover Mt Tamborine with all the vouchers for the local attractions and theme parks. Arrive 8am sharp for animal feeding and a delicious breakfast: bacon, eggs, sausages, tomato and mushroom, plus barista coffee. Murder mystery parties are exciting and unique and provide guests with an experience unlike any had before. Dress for a fun theme. For a killer murder mystery party you have found the right place! Must have 8 adults to participate. Costumes, meals, accommodation, and even a baby-sitter included in the package! Contact Us for more information and see when the next game is on! Join us for animal feeding on a Friday night 5pm sharp. Bring a bottle of wine and sit back while the kids play and your meal is prepared. Gourmet hamburgers and steak burgers, fresh wood-fired pizzas, and crunchy fish and chips are available to eat while they’re hot or to go! To book a spot or to pre-order for takeaway please call 5543 0990 or contact us for more information. Where only the best coffee is served! Welcome to Clandulla’s newest addition – Cafe De Barn, serving breakfast, lunch and dinner to our guests. Want to get in on the fun? Check out Friday Night Fun and Breakfast With The Animals !! Farm fresh eggs, Clandulla’s bacon and ham, or vegetables in season also available. 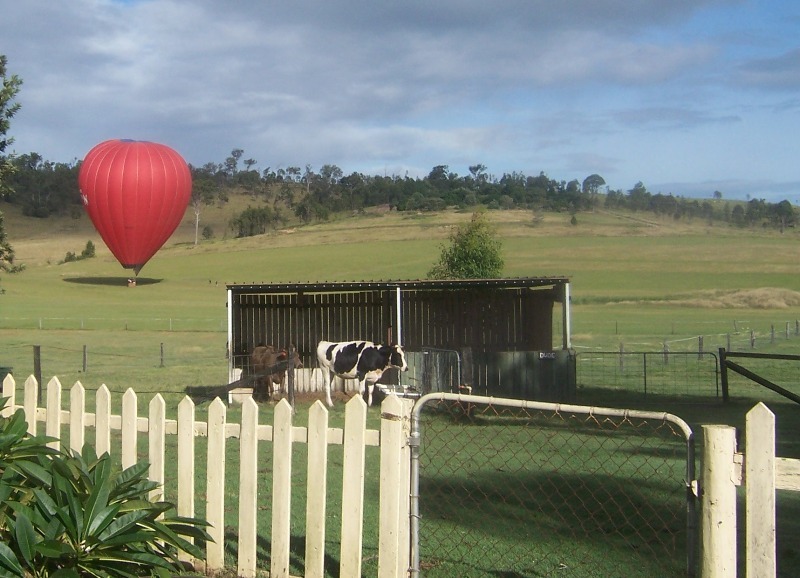 We are located in the beautiful Scenic Rim at the base of the wonderful Mt Tamborine. There is plenty to do and see, with it all keeping you coming back time and time again. Hang Glide from the top of beautiful Mt Tamborine, visit the new rainforest discovery skywalk or stroll through the many galleries, shops and cafes that the mountain has to offer. – approx 20km. Hot air balloon across the Scenic Rim Region. Visit the award winning Albert River Winery – approx 4km. Enjoy the country village of Canungra – approx 10km. Visit Cedar Creek Falls (15km) or Witches Fall (20km). 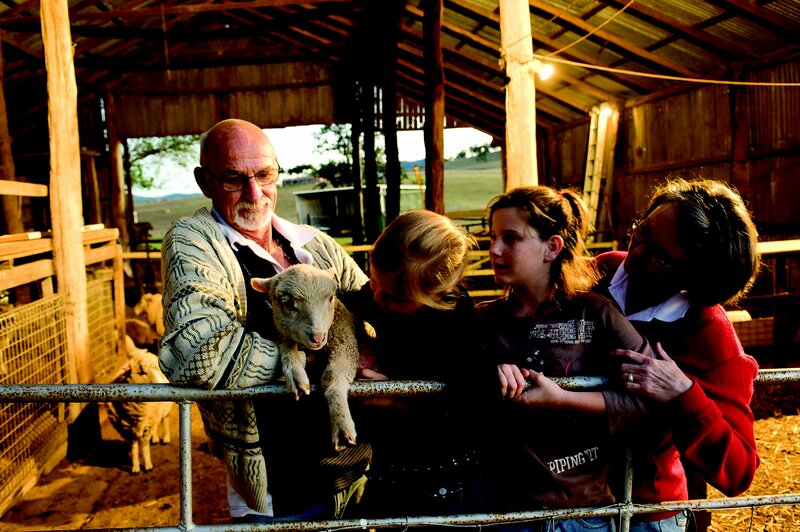 Take a drive to the country towns of Boonah or Beaudesert. Explore the beautiful Springbrook and Lamington National Park. Take a scenic drive to O’Reilly’s and Green Mountains. Visit Natural Arch with its amazing glow worms. Or treat the kids to one of the many theme parks close by – Dreamworld, Movie World, Wet ‘n’ Wild, or Sea World.